In my research to find logos for both Logo Stack, and now the new Brand Legends, I always end up stumbling on some real design classics. It’s one of the real joys of having a few side projects to get your teeth stuck into. So many decades worth of graphic design to savour and marvel at. 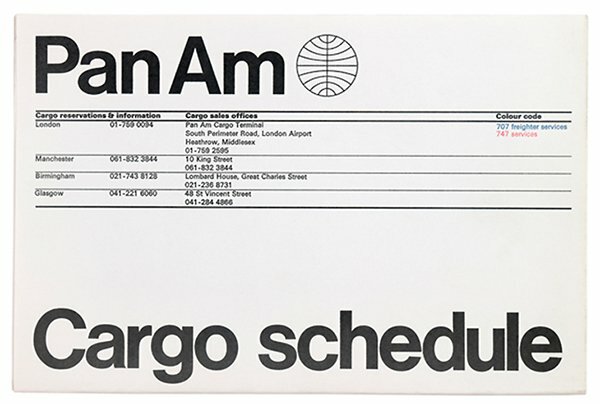 In this case the beautifully clean Pan Am Cargo Schedule Leaflet, designed by the accomplished Alan Fletcher. 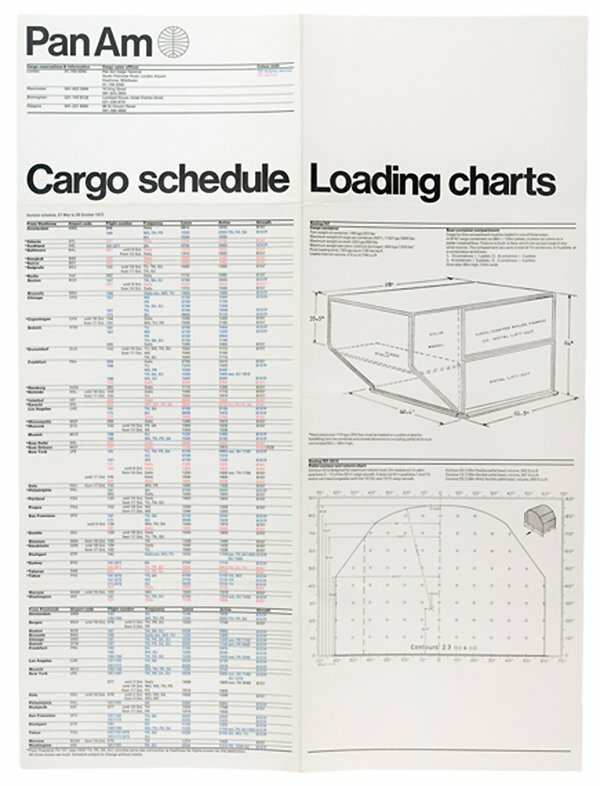 Pan Am 1971 A leaflet describing the process for sending freight by plane.